Google announced they have expanded the Site Error reporting within Google Webmaster Tools. Now the reports show breakdowns of the errors over the past 90 days by error type. Google has broken down each category; DNS, server connectivity, and robots.txt fetch; into more specific errors to provide you with a better analysis of your site's health. 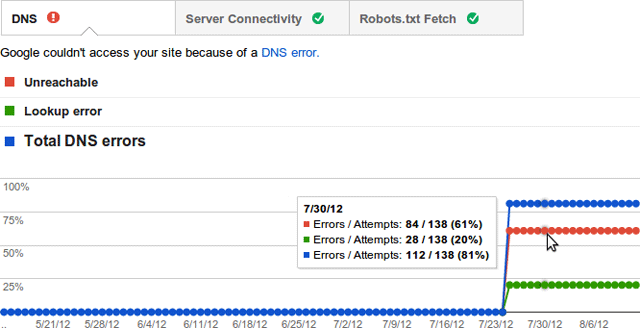 Now site errors will display statistics for each of your site-wide crawl errors from the past 90 days. It will also show the failure rates for any category-specific errors that have been affecting your site. This tool is becoming more and more essential to webmasters every day.